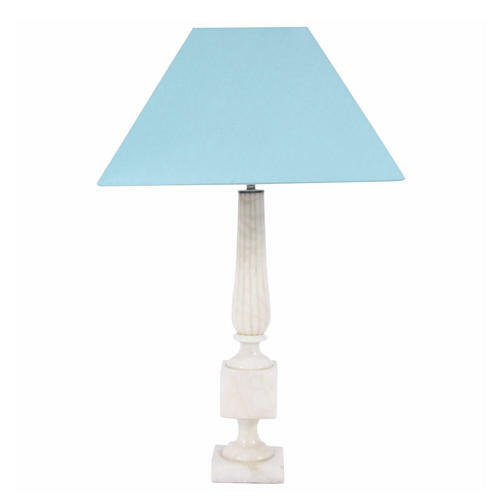 An elegant table lamp made form carved cream marble, in the shape of a column and plinth. Beautiful baby blue, hand-made silk shade .Dimensions above are without shade. With the shade: Height 70cm, Width 32cm, Depth 32cm. Re-wired.